Friends, here’s another awesome freebie for our readers. We have created 2 near-realistic photo frames mockups in Photoshop to help you showcase your artwork, photos or quotes in a beautiful way. The photo frames are fully created in Photoshop and you can easily change the background color, shadows, colors, wood texture or even increase the size of the frames because we have used shape layers in the designs. Everything about editing is left to you! 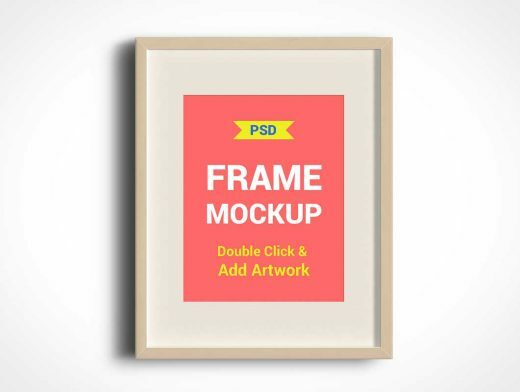 To add your artwork or posters or designs in the frame, just double-click smart-object layer named “ART WORK HERE” and save.